Removals and man with a van services for Yeovil, Sherborne, Dorset, Somerset, South West UK. 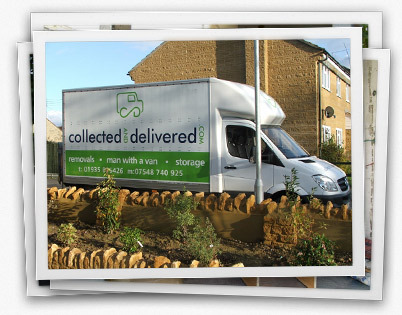 Collected and Delivered can also deliver to the rest of the South West of England, the United Kingdom and Europe. All jobs are considered whether for home or business and all items are fully insured.